Actress Natalie Martinez talks with Jose Torres, EstrellasEnLA.com, about being a part of FOX's upcoming crime drama "APB." Martinez talks about the fantastic way "APB" uses the newest tech and theories to make this show sci-fi based on actual science. She talks about her workout and keeping in shape. 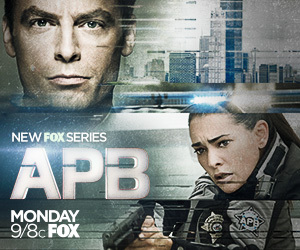 FOX's "APB" airs on FOX Mondays 9 p.m. Check out more interviews and subscribe to youtube.com/thisfunktional. Sky-high crime, officer-involved shootings, cover-ups and corruption: the over-extended and under-funded Chicago Police Department is spiraling out of control. Enter billionaire engineer GIDEON REEVES (Emmy Award and Golden Globe nominee Justin Kirk, “Tyrant,” “Weeds”).